A relentless commitment to research and design, the use of quality materials, and an uncompromising approach to manufacturing have all contributed to the Air Locker’s success in over 100 countries worldwide. Designed and manufactured in Australia, ARB Air Lockers will enhance the traction of your 4×4 in just about any terrain, whether it’s rock, clay, gravel, sand, snow or mud. Now with a state-of-the-art two piece design available right across the range, forged gears for the ultimate in strength and durability, and an industry-leading five year warranty, ARB Air Lockers are better built and better backed than ever before. Strength, durability and resistance to fatigue in all Air Locker components is paramount. 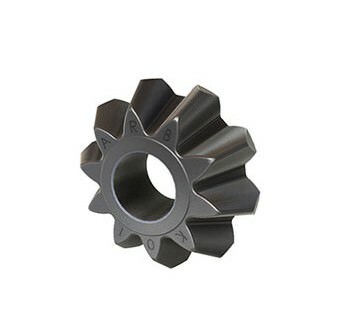 With phenomenal forces being applied to the side and pinion gears within the differential, ARB has invested heavily in the application of forged gears, typically found in heavy duty commercial, race and agricultural transmissions. 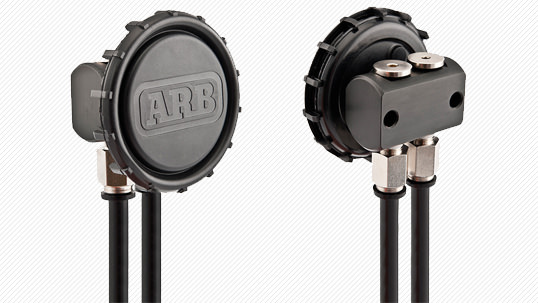 When combined with ARB’s patented ‘timed gear’ design, the resulting strength of the whole assembly is amplified. 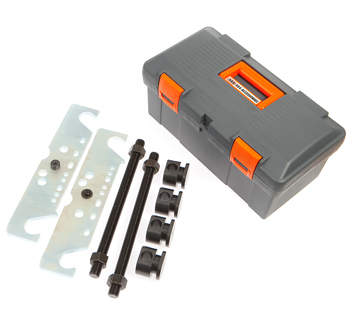 Housing this superior internal gear train in a two-piece case brings further benefits. Machining a case from two pieces instead of three results in a much higher dimensional accuracy of the finished assembly and has allowed ARB engineers to improve the design of other elements, resulting in a reduction of moving parts, increased strength and a more responsive activation. For total peace of mind, all ARB Air Lockers are backed by a comprehensive, five year, unlimited kilometre warranty. Coupled with ARB’s extensive domestic and international network of stores and distributors, you can be sure we’ll be there to support you in the unlikely event of an issue. Of the many ARB products seen in off road competition, it’s the one you can’t see that makes the difference. 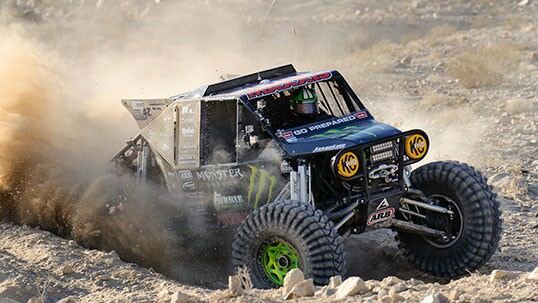 ARB Air Lockers continue to dominate the world’s toughest off road events. Used by some of the biggest names in off road competition, Air Lockers are just as at home plugging through mud or scaling near-vertical rock ledges as they are on your daily commute. When drivetrain assemblies such as your vehicle’s differentials, gearbox and transfer case heat up under normal operation, the air inside expands and increases pressure. To vent this additional pressure, most factory differentials have a one-way valve mounted to either the assembly itself, or on a short extension tube close by. Unfortunately, when the drivetrain assembly cools down, the air inside contracts, creating a vacuum. When cooling occurs during a water crossing, these one-way valves can draw water into the system, potentially causing expensive damage. The ARB Differential Breather Kit is designed to provide a high flow, zero back pressure, zero vacuum breather system to keep your drivetrain free of water. This is achieved with a central high flow air filter and manifold that will allow up to four drivetrain assemblies to be vented to one central location, positioned high enough to avoid water during crossings. 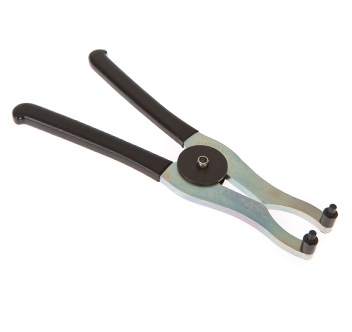 For correct pre-loading of an adjuster nut type differential, these Adjuster Nut Pliers have been designed specifically to easily and safely accommodate the full ARB Air Locker range of adjuster nuts and most original equipment types. 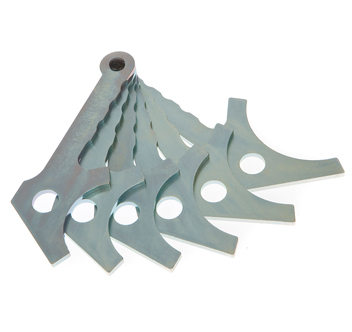 For installing and servicing common shim pre-loaded differentials, the Shim Driver is designed to evenly distribute the installation force around the outside edge of a differential shim as it is tapped into place, allowing thinner shims to be inserted into tighter places than would otherwise be possible. 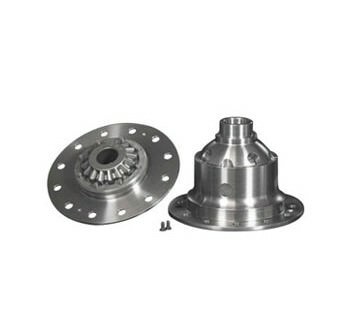 To achieve the required carrier bearing pre-load during set up, the Differential Spreader has been designed to be quickly and easily used with most shim adjusted automotive differentials. It allows the housing to be stretched in a safe and controlled way, reducing the risk of damage. 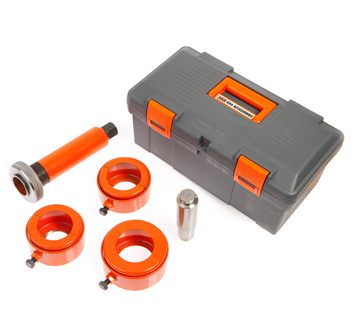 The Bearing Puller Kit offers a unique way of removing a differential carrier bearing, which allows easy removal of the original bearings with less chance of damage. 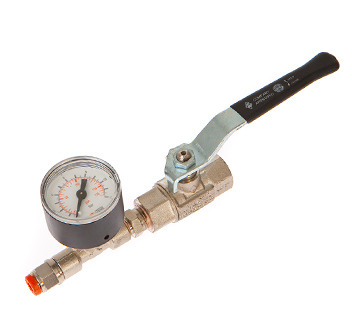 This product provides an easy and effective way to determine the supply pressure and/or to detect a loss of pressure in the air system of the ARB Air Locker or the air compressor.